UAE. 2012. Dubai. 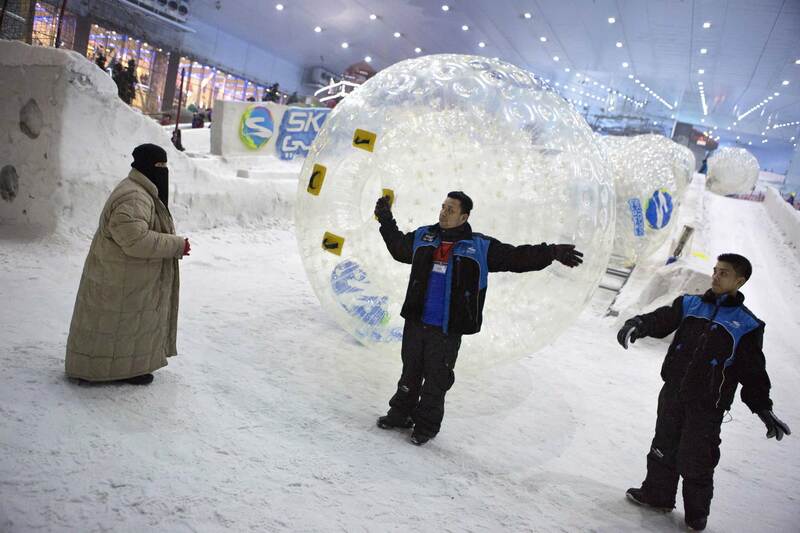 Two Nepali guest workers show a local woman the way at Ski Dubai, one of the world's biggest indoor skiing resorts.